Learn best practices on how to use Sales Navigator day-to-day to prospect, manage accounts, drive and encourage adoption. Gone are the days of endless cold calling, asking friends and family for referrals, going through alumni books, and researching prospects for hours. Like with many industries, technology has become an enabler of change. Consumers are increasingly less responsive to requests for in-person meetings and more keen on using social networks to determine which firms and individuals to work with. In fact, 75% of buyers use social media to conduct research. The growing complexity of the advisory business is requiring Wealth Managers and Financial Advisors to rethink the way they do business. Social networks can help financial professionals differentiate their value proposition to prospects and clients. Why? Because LinkedIn enables them to engage investors with insights and expertise, at critical times in the buying cycle. And this engagement on social networks is yielding results. Revenue producers, agents and advisors who successfully adopt social media strategies have been shown to earn on average, 45% more opportunities per quarter and are 51% more likely to meet their goals. 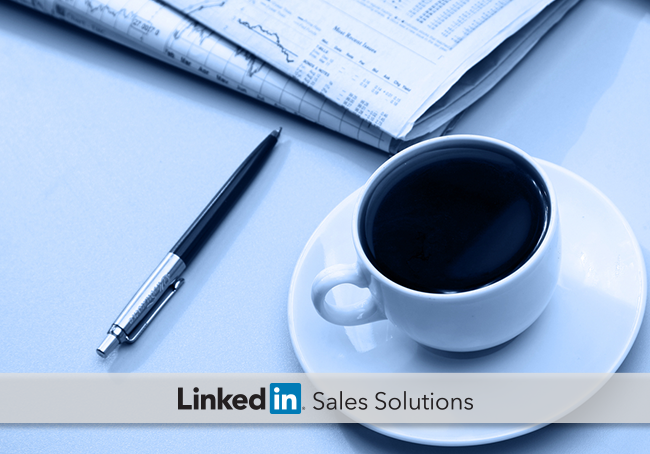 Today, many financial professionals are turning to LinkedIn Sales Navigator, a premium standalone product of LinkedIn that’s build specifically to help professionals in revenue generating roles capture such a competitive advantage and efficiently grow their business. Sales Navigator can be used throughout the client lifecycle – from identifying new prospects to engaging them with insights to winning new business. On Feb 11, join us for an engaging discussion on how financial professionals can leverage Sales Navigator day-to-day to prospect, manage accounts, drive and encourage adoption. To get started, register for How Financial Services Professionals Leverage LinkedIn Sales Navigator.